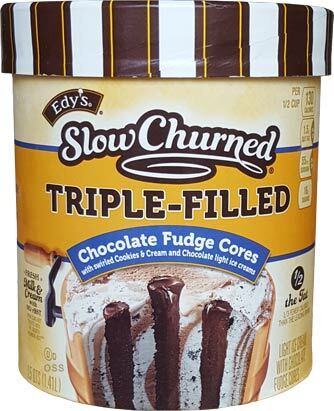 [New for 2018] Are you ready for another Edy's core review? Recently super shopper @candyhunting found a fifth core flavor at dollar general. That flavor rocks a strawberry base and for some reason rocks the brown packaging instead of the yellow slow-churned packaging, but no matter, because that's not what we are covering today. 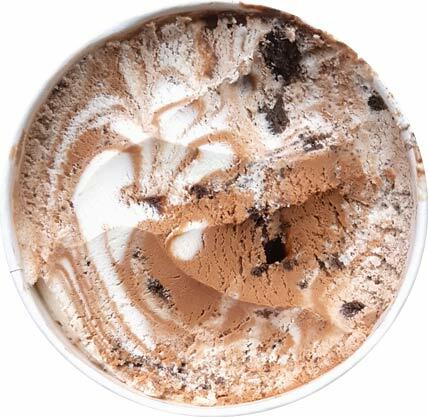 Instead we have the one that tries to lure us in with the thought of cookies & cream (& lots of fudge). Discussion question: does the gooey side make you excited for this flavor, or does the smooth side scary you off a bit? The left says low quality while the right screams "I can be fun!" To be honest, I don't have a ton of thoughts about this one. 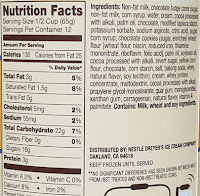 I guess my two big concerns were the level of cookies & cream flavoring and the impact of the cores. I think it's safe to say that neither has a huge impact. 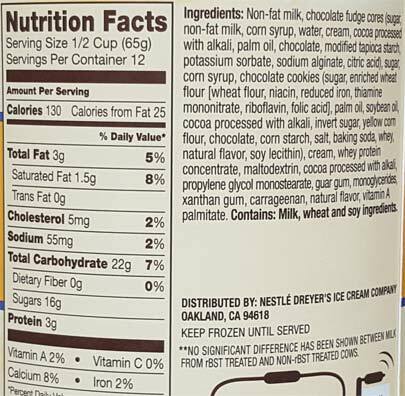 It feels like a fairly standard chocolate flavor from Edy's. It's not terrible, but it is definitely not greater than the sum of its parts. 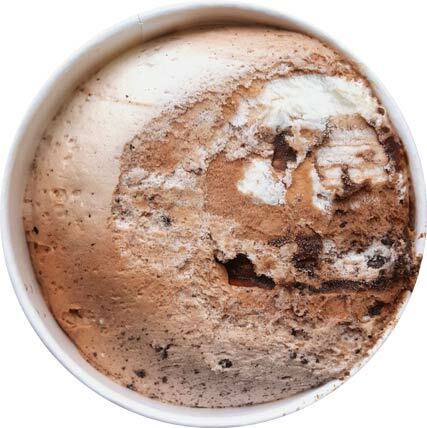 On Second Scoop: If you can get enough cookie hunks in your serving, this one isn't too bad. Bad is probably the wrong word. If you like Edys/Dreyers, you'll be fine with this one, but as an overall flavor in the freezer aisle, it's not nearly as remarkable as it wants to be. Maybe it's me but I hate the packaging Edy's chose for their "core" flavors. The picture on the front is just not appealing and does not entice me into buying these ice creams. The first flavor I tried—the red velvet and vanilla—was pretty disappointing. It grew on me a little once I got over my internalized hype expecting the cores to be more like B&J’s cores. Also grew on me more as I got further in and actually got some fudge. This was my second flavor and I definitely like it more. Not only do I have a bit more fudge evenly spread but I had a good mix of the cookies and cream which gave it that little extra. I also think the fudge complemented this flavor better. Still probably won’t bother with the others. I think I got the idea.